My friend, Claire, is expecting a baby girl in the coming months and spotted some appliqued onesies she kinda loved. Well, they were $30! Can you believe that? Thirty bucks! Well, here's a tutorial that can help you get a $30 onesie for $2. By the way, if you don't know what to make for dinner, Claire has a stellar recipe blog. You've GOT to check her out here. I ate her cookin' every day for an entire summer... it was heaven. 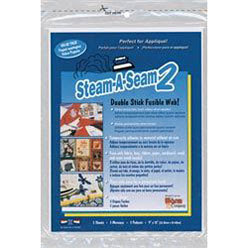 First, iron double-sided fusible webbing onto your choice of fabric(s) according to the manufacturer's instructions. Fusible webbing really is the trick to doing a successful applique, especially onto jersey. Browse google images or some clip art software for an image you like. Print it out, cut it out. Trace the outline of that image onto the paper backing of the fusible webbing. Cut out the traced image. Peel the paper backing away from the webbing/fabric and lay the pieces onto your onesie or shirt. Iron in place, adhering the fabric images to the jersey. CAREFULLY and slowly stitch around the very edge of the images. Take your time on this step and I promise it will be perfection. Now for the legs... To add a little extra texture, I used brown embroidery floss and did a back stitch to create skinny little bird legs. Ta-da! A little love bird onesie. Easy, right? I kind of want to design dozens of these for summer shirts for littly lady "P." Applique away, folks! Hope you all had a happy Valentine's Day! Very cute! That's a great tip, especially to cover stains on an otherwise good shirt! I nominated you for the "Beautiful Blog" Award. come to my blog to redeem! does this stop the fabric from fraying when washed? Jersey shouldn't really fray when it's washed, especially not with the fusible webbing. If you use a woven fabric, then satin stitching around the applique will stop it from fraying. Mind you, I've done a corduroy applique with webbing and hand-worked blanket stitch and it hasn't frayed at all. Love the tutorial , thanks ! Have been wondering how to do this without it being a mess !